Are you feeling a bit Irish? St. Patrick's Day is a great time to bring out all that's green, especially lighting. 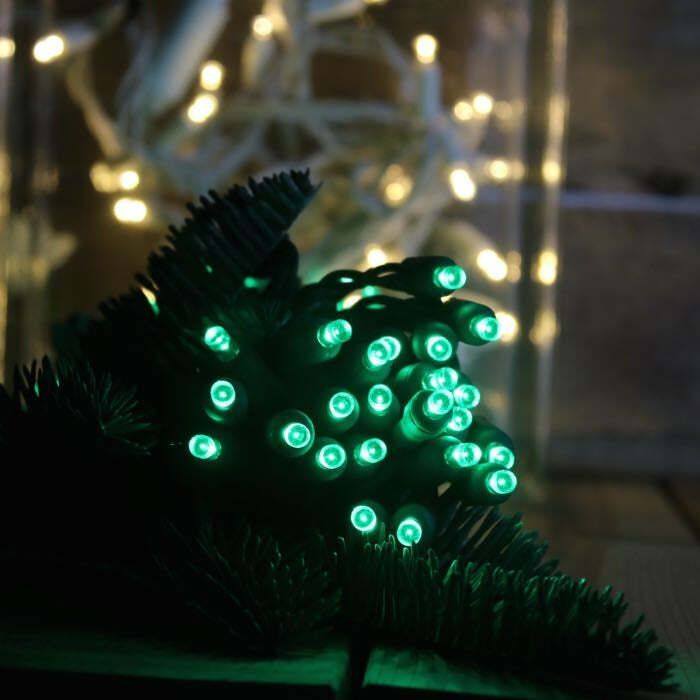 These wide angle green LED Christmas lights are a popular choice for March and December events. With the smallest lens shape, this string of lights on green wire throws off a wide angle array of light. These eco-friendly LED lights are a customer favorite due to their weather-resistant and moisture-resistant properties. With 87 sets able to run in a series, these lights are ideal for large projects and most can be accomplished without a second extension cord. Consider combining these lights with a single other color, such as red, for a festive look on fresh or artificial greenery lining mantles or stair railings. Q: Is this good for outdoor applications? Is it a 120 V set or a 12 V set? Can they be connected end-to-end? How many watts per string? A: Yes, this is a great light string for outdoor applications. They are rated for indoor/outdoor usage. This is a 120 volt set rated at 4.8 watts per strand. You can run these in series end-to-end. Thanks for your question, I hope that helps! 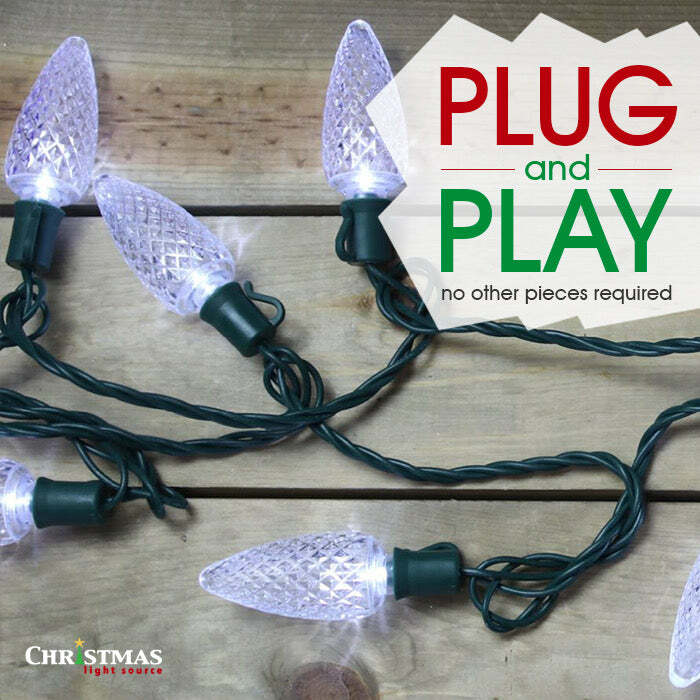 You can see all the specifications for this string of LED lights under the specifications tab.